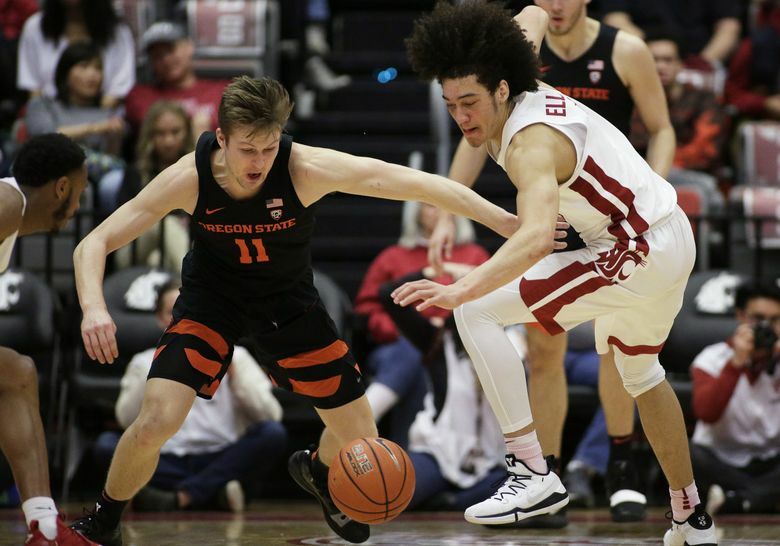 PULLMAN — Oregon State won ugly, beating Washington State 85-77 on Saturday afternoon to clinch a first-round bye in the upcoming Pac-12 tournament. Oregon State took its first lead, 46-45, in the opening minutes of the second half after an 8-0 run capped by Kelley’s three-point play. 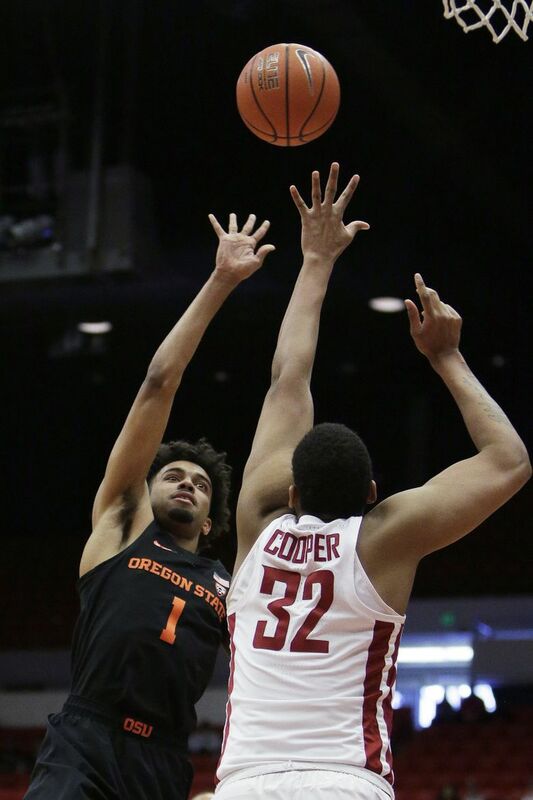 Thompson Jr.’s jumper and three-pointer capped a 7-0 run for Oregon State over 2:24 and the Beavers blew the game open with a 10-0 run over 2:14. Back-to-back threes from Zach Reichle and Thompson Jr. sparked the run and Alfred Hollins’ jumper gave OSU a 16-point lead with five minutes remaining. 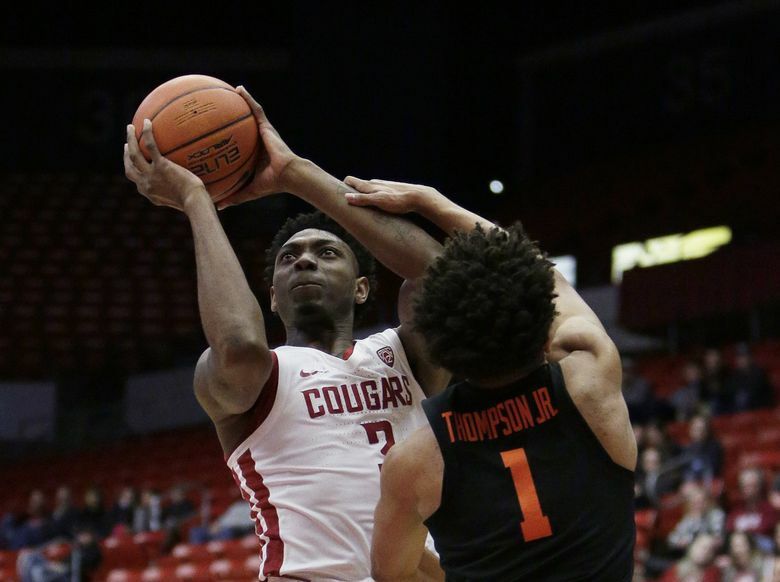 WSU closed to within six points with 27 seconds left on Franks’ three and two free throws, but the Cougars got no closer. 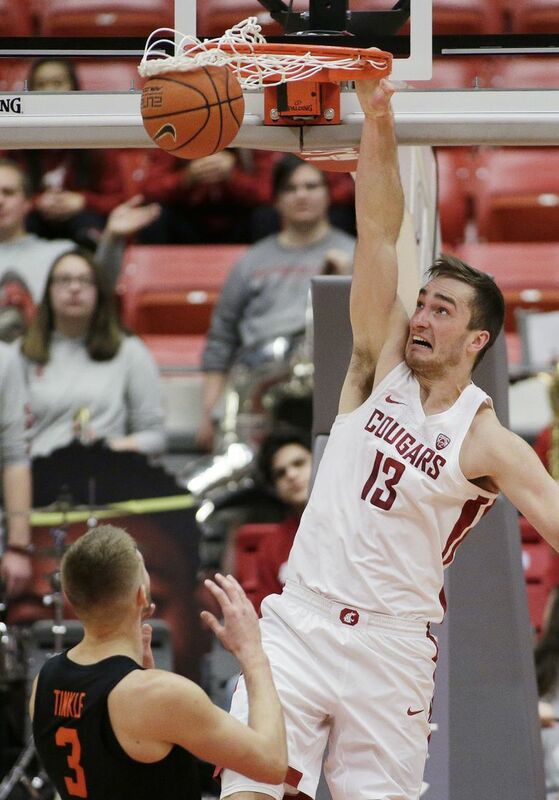 The Cougars raced to a 9-2 lead, with Franks scoring six of the first nine, and shot 83 percent from field-goal range and 3 of 4 from behind the arc in the game’s first five minutes. 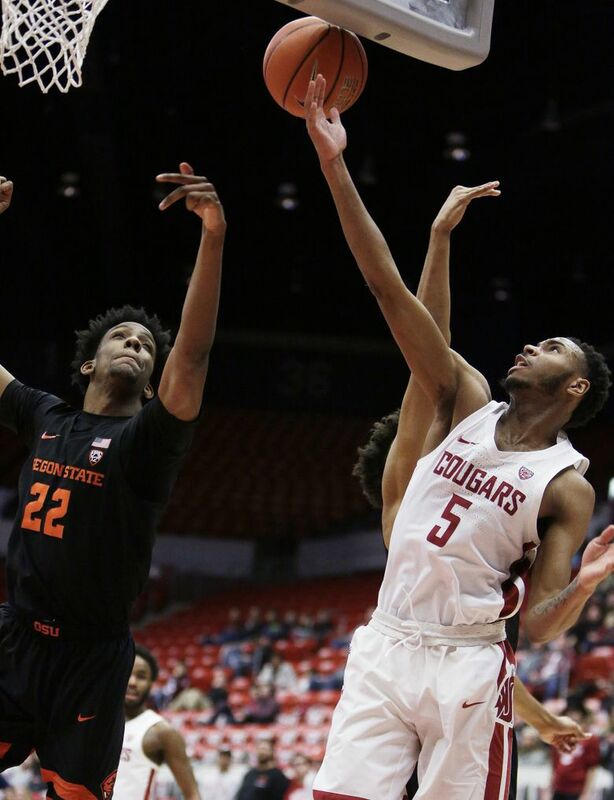 Oregon State weathered another WSU run midway through the first half after Franks ignited the crowd by hitting a deep three-pointer while being fouled. Franks made the free throw for a four-point play, putting the Cougars up 23-11. 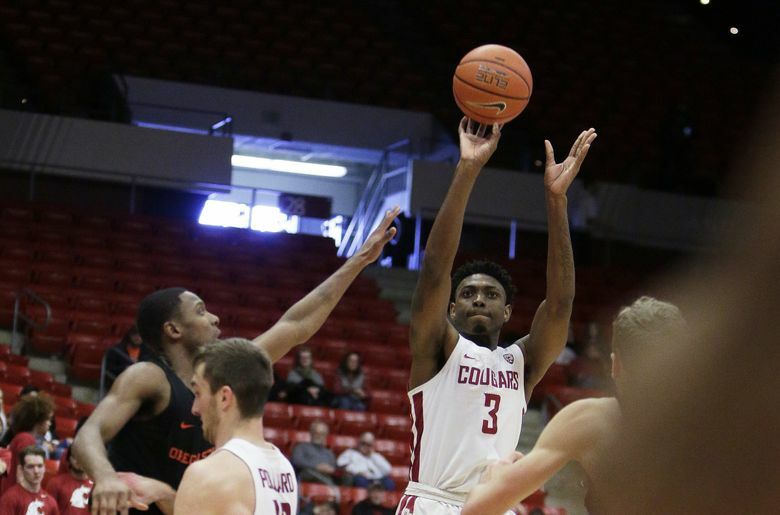 The Beavers answered, with Tinkle hitting back-to-back threes, but the Cougars led 43-38 at halftime behind Franks’ 20 points.